Just a warning: If you haven’t seen Game of Thrones Season 5, watch out — spoilers ahead! Game of Thrones has never been shy when it comes to killing off a character, but last few seasons have felt especially bloody. Well, it turns out it could have been even WORSE, as David Benioff and D.B. Weiss actually toned down a death in Season 5 to make it less violent. Having seen a man get his eyes gouged out (RIP Oberyn Martell), a child get murdered by her own father (we’ll never get over Shireen’s death), and multiple shocking massacres (The Red Wedding, Sept of Baylor explosion, etc. etc. ), we never imagined the creators of the HBO hit series would actually make something less gruesome. It turns out, Myrcella Baratheon — who dies in the Season 5 finale — was supposed to die a very gross death. 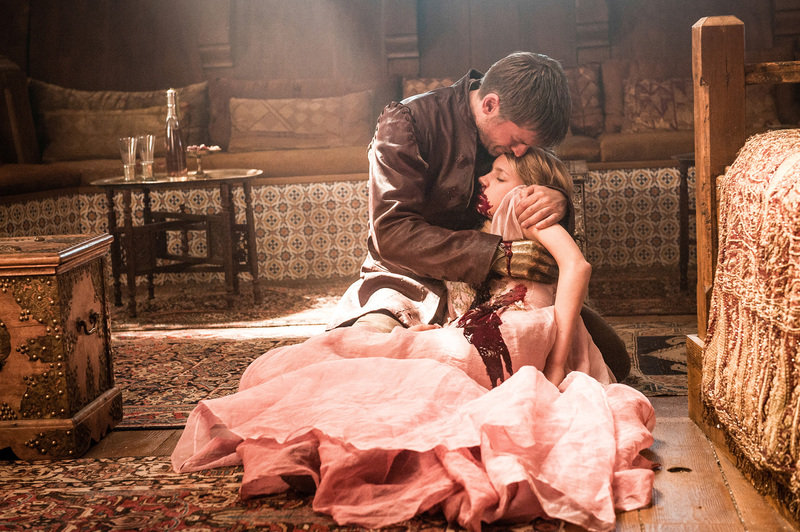 In the show, Myrcella dies after receiving a poisoned kiss from Ellaria Sand, who is seeking revenge on Cersei Lannister (Myrcella’s mother), who coordinated the death of her lover, Oberyn Martell (the guy with the gorged-out eyes). Myrcella is rescued from Dorne by her uncle, Jaime Lannister, and as they’re sailing back to King’s Landing, the two have a sweet conversation, in which it’s revealed that Myrcella knows Jaime is her real father. Their father-daughter moment is interrupted by the poison kicking in, and Myrcella quietly dies in the arms of her real dad. According to Nell Tiger Free, who played the princess, Myrcella’s original death involved brain splatter — a lot of it. "I don't know if I should say this, but originally what happened is they gave me those mashed up bananas with like fake blood, and my brains were supposed to be all over the ship and stuff," Free told MYM Buzz. "I was so excited. I don't like gore but, like, I knew they were just like bananas, so I was okay with it." The actress added that the death was changed to a less violent ending because Benioff and Weiss wanted Myrcella’s death to reflect how she lived — sweetly. Not gonna lie, we definitely prefer to how Myrcella *actually* dies in the show, as we think it accurately reflected Myrcella’s innocence within the cruel world of GoT. In just over ONE month, Season 7 of Game of Thrones premieres, and once again, we’ll be waiting with baited breath to see if our favorite characters survive.